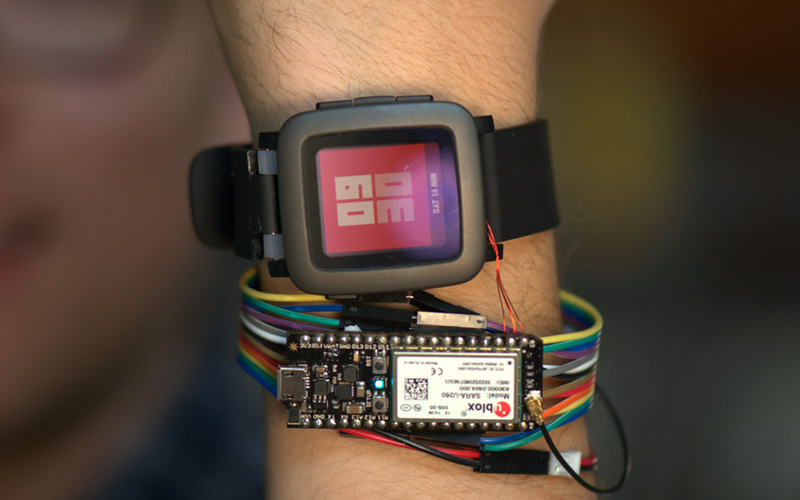 The Pebble Time Kickstarter for Pebble’s second-generation smartwatch has exceeded all expectations, but the company is still revealing more about the upcoming device: Today, it’s announcing a $1 million fund to support the development of smartstraps, the add-on accessories that are open to hardware makers and that will add functionality to Pebble Time via add-on sensors, batteries and more. In my original post about the smartstrap system unveiling, I expressed skepticism about their viability. Pebble is looking to third-parties to help build up the smartstrap ecosystem, and that’s a tall order when you’ve still only sold under 100,000 units (just over 90,000 as of this writing) during the campaign, despite all the Kickstarter records broken. Apple has a healthy third-party accessory ecosystem precisely because it sells so many millions of devices: Even 1 percent of the iPhone 6 userbase is a sizable market. Obviously, Pebble still has post-campaign retail sales to continue growing its Pebble Time user population, but the fractional market numbers it can offer accessory-makers is never going to approach something like the buyer population represented by iPhone, or even future Apple Watch owners. Which is why it’s good that the company is ponying up the $1 million fund, which is being distributed based on a system of merit determined by Pebble itself. Pebble says it’ll be combing crowdfunding platforms to find out about smartstrap projects, and will back those it deems worthy. The company is also soliciting pitches via Twitter and email for anyone who might be planning a smartstrap, and isn’t pinning itself down with specifics on the terms of how it will actually allocate cash just yet. It’s also promising promotion to worthwhile projects, to raise awareness among the Pebble community. As if to answer fears that the smartstrap concept will remain purely conceptual, Pebble points to some ideas that have already sprung from the community regarding prototypes. These aren’t even in the hardware development phase, Pebble stresses, but there are ideas that show promise being proposed by third-parties. They include a modular strap with individual links that contain separate features or sensors, like an NFC link, a heart rate sensor link a GPS link and so on. This is being planned by Seeed Studio, and will work with a so-called Xadow adapter that provides the basic link between the modules and the Pebble Time itself. A second project called the Spark Electron, from Spark.io, which already has its own Kickstarter. This is hardware design that would offer independent cellular connectivity via a smartstrap featuring its Electron SIM-enabled dev kit, letting you use the wearable independently of a connected smartphone. Pebble says “hundreds” have approached the company with interest in the smartstrap program, but ultimately Pebble Time sales volume will determine the size and quality of any accessory ecosystem. And though most signs indicate Apple isn’t planning any kind of ‘smart band’ system for this first generation of Apple Watch, the potential for it to do so in the future definitely exists, and that could distract accessory makers from looking anywhere else.